Recently, Picreel was honored to be highlighted in a blog post from CRO thought-leader, Neil Patel, about the “5 Exit Overlay Strategies That Actually Work“. This is a topic near and dear to our hearts, and Neil is a well respected voice in our community. So truly, we’re honored, and we’re thrilled to share the post with Picreel’s followers and add our own thoughts to some of Neil’s valuable insight. You can read Neil’s full article here. Unbeatable offer – people love free stuff, having a chance to win something, and feeling like they’re getting a great deal. Weigh your costs of the offer with the value of the conversion. Immediate sale? Building brand loyalty? Increasing signups? — it’s usually worth the small cost of the offer. Emotional appeal – know your buyer’s journey and solve their problems before they even know they have them, create urgency so visitors have a fear of missing out on a great deal, develop trust, and remove any risk of doing business with your website. Overt offer/question – specifically for abandoned shopping carts, show your shoppers an overlay asking if they meant to leave items in their cart, and couple it with an incentive to complete the transaction. One Picreel customer offered a moderate 5% off if shoppers ordered now, and saw conversions increase by 64%! Precise timing – when you show website visitors an overlay is critical to success. Too early, you’re annoying; too late, you’ve lost them. Use A/B testing to experiment with delayed timing. Cross-sell/upsell – overlays can be used to show visitors related products and services, often before they even realize they need something else. Cross-selling and upselling accounts for one-third of all ecommerce revenue. Neil offers some fantastic tips and real-life examples for using exit overlays to engage website visitors and increase conversions. Here at Picreel, we build on that by helping customers develop offers tailored specifically to their website, conversion goals, and audience. While it is always helpful (and inspiring!) to see what is working for other business; as Neil pointed out, an audit of your existing CRO strategy can be helpful for determining how overlay offers can be incorporated for best results. 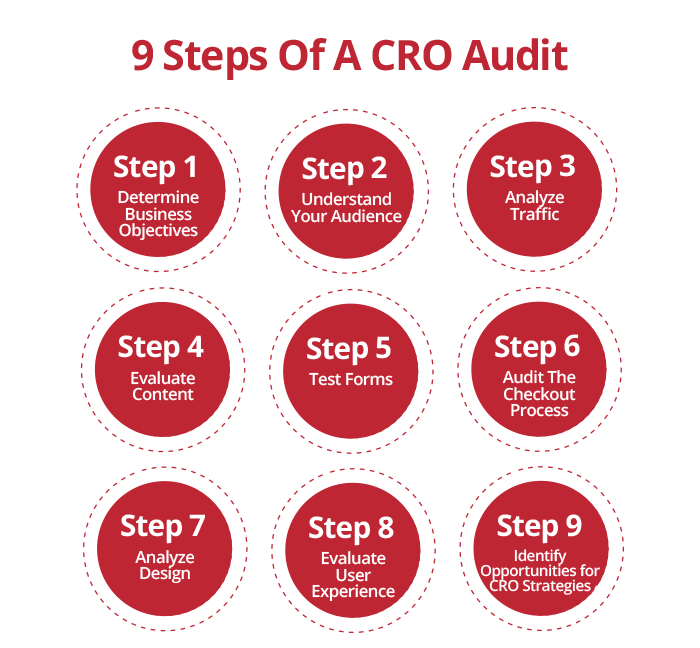 Interested in conducting your own CRO audit to start turning more visitors into buyers and subscribers? We’ve put together a comprehensive guide for that exact purpose! In it, you’ll learn why focusing on increasing conversions is just as important as increasing new traffic, how your business objectives help guide conversion goals, and what constitutes a conversion across different industries. There are also some tips for specific elements of your landing pages that can be optimized, as well as a helpful graphic with the most common reasons for shopping cart abandonment, and quick fixes for overcoming them. Best of all, Picreel offers comprehensive CRO services that includes audits conducted by a dedicated conversion rate optimization specialist. And at the end of the day, we guarantee that we can help you create offers that boost your conversions by at least 25% — guaranteed.